Summer is the time to shine, shine, shine. I think that summer is the perfect time to show off your fresh-faced look with dewy skin, rosy cheeks and ‘just bitten’ lips. I always think that dewy skin wins out over matte when it comes to looking younger. For how to glowing skin, try skipping your powder for a week and add a primer and cheek stain to your regimen. I’ve pulled together the best products for that summer glow from cheek stains to lip tints to SPF foundation. Because we all know you shouldn’t skip the SPF in the summer! I’m really picky about my foundation so when this Diego Dalla Palma High Coverage Foundation arrived to my doorstep I was keen to put it to the test. First off it ticked the high coverage point, next long-lasting and the final was the SPF 20. I like foundations with SPF in it because I don’t wear moisturiser with SPF so I rely on it being in my make-up. This foundation really is dreamy – it blends really well, the colour matched my skin tone perfectly and my make-up lasted all day. The product is high-coverage but I still felt this gave a natural finish to the skin and didn’t look too overdone. MAC has the best collabs so you know when they partner with up and coming musicians like Dua Lipa you are in for a treat. This Cremesheen Glass is like lacquer to the lips. It’s got a light hint of sparkle so you can wear it alone for a super glossy lip or over a lipstick to add some serious shine. A summer glow in a compact – that’s the best way I can describe this powder. MAC have partnered up with American singer Justine Skye to make the most shimmery iridescent powder – it’s pink, shimmery and perfect for those hot summer nights. This is highlighting at its best. The MAC Skinfinish Mineralize in Soft & Gentle is seriously probably my favourite highlighter – EVER. It’s everything you want in a highlighter – pearlescent hues, velvety texture and radiance in a compact. Swipe across cheekbones and anywhere the light hits naturally – across the shoulders, the décolletage, the tops of shins. You can use this on the face or body making it the perfect holiday essential. Say hello to the Stila Dual Lip & Cheek Cream which comes in the prettiest of compacts and gives the perfect hint of colour on the cheeks and lips. Think natural and rosy. You can use your fingers to tap onto your cheeks and dab onto your lips – the colour blends easily and it looks so natural. Perfect for those who like a fresh-faced glow. I have recently fallen in love with primers again and this Stila not only primes but it’s also a serum too! It primes, nourishes and illuminates and I bet you don’t have a primer that is also a serum. I love products that multi-task and this is a fabulous one for that summer glow. The serum combines three different shades – pale pink to warm the complexion, champagne to highlight and the classic ‘Kitten’ shade to brighten. You just can’t go wrong with this and you can wear it on its own or under foundation. I like to wear it on the weekends for that fresh skin look. Too Faced wins the award for prettiest packaging ever with this fabulous Prismatic Highlighter in Love Light. Everything from the compact to the name to the product shouts pretty. This is another winner of a highlighter – it’s fabulous and gives the skin a ‘lit from within’ glow. Honestly I thought it made me look like one of those people that juices, goes to the gym and lives a wholesome life. The formula combines a magical concoction of powder, liquid, baked and cream. Whoever the wizards are in the lab at Too Faced, they are certainly doing something right. From a lip stain to a cheek stain I’m hooked. I just can’t find anything else that gives such a natural look. Therefore I was thrilled to get these new Pixi Sheer Cheek Gels – they create a lovely natural flushed look on the cheeks. They come in a gel formula that you can just dab or swirl onto cheeks and the gel contains aloe vera which helps to soothe skin. Absolutely gorgeous and one of my favourite new products! Talking about stains, my favourite kind of lip colour is a stain. They have that ‘I just bit my lips’ look in the best possible way – so natural and so pretty. I adore these new Pixi GelTint and Silk Glossy Duos. On each duo there is a lip tint on one end and a lip gloss on the other. I’ve got all three duos in my bag. The stains are fab – they last ages and give your lips colour without looking overdone. The glosses also feel cooling and envelop the lips in a veil of moisture which can’t be beat. A MUST-HAVE product! Oh these lipsticks are dreamy! They are a balm/lipstick hybrid so they are super moisturising and deliver similar results to a lip balm. If you like lipsticks but don’t like that some of them dry the lips out then definitely give this one a go. It’s perfect for summer as well because it literally melts onto the lips. The formula also contains Peppermint Oil so it leaves a cool and refreshing feeling. Lee Hi is a South Korean singer who has recently collaborated with MAC on a limited edition matte lipstick in a deep red. It reminds me of Ruby Woo – perfectly suitable for any skin tone and will make those lips POP! Korean fashion meets make-up in MAC’s latest collab with Steve J + Yoni – meet four limited edition lipsticks (I’ve got Yoni Crush – a classic red). I love the packaging on this collab – your lipstick will definitely make you smile! Who doesn’t want HUGE lashes? For my holiday I want to be looking my best so it’s only natural I would go for L’Ancome’s newest mascara – Monsier Big which promises lashes with 12x more volume. So does it do the trick? I tested this out and I must say, my lashes definitely looked fuller, longer and thicker. You can also build this up for mega lashes! I’m obsessed with this mermaid-inspired liquid eyeshadow by Stila. It’s got a beautiful lightweight texture that makes your eyes sparkle and dazzle. The formula is shimmery but not too overdone – it’s actually perfect and would suit women of any age. I think sometimes I shy away from overly glittery products but this one is pure shimmer in a bottle and it’s GORGEOUS! 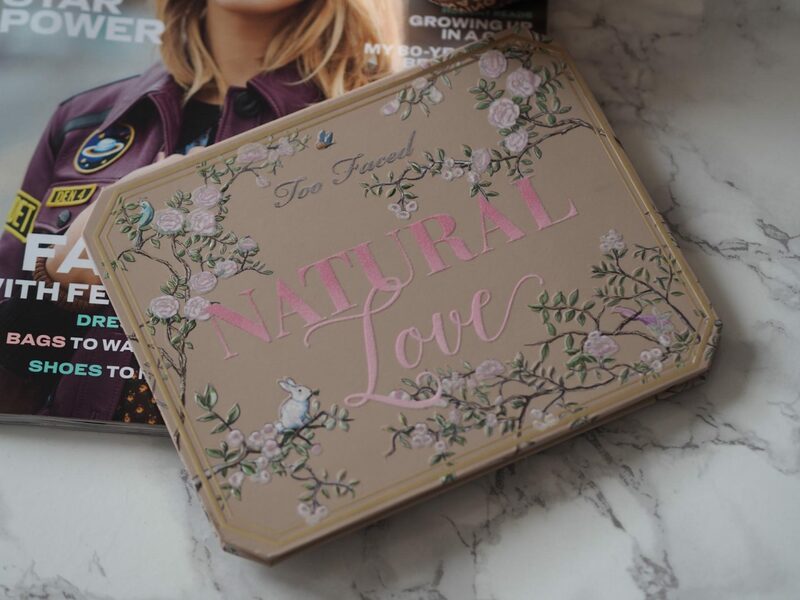 Too Faced palettes are some of my all-time favourites so when I saw that they had just launched a Natural Love palette I just had to have it. The palette is chock full with 30 shades – all neutrals. It’s really neutral eyeshadows that I wear the most. They are always the ones that go first in a palette while the bolder colours are barely touched. So I would say that if you are looking for a fabulous everyday palette where you might actually use ALL the colours then this one would be a perfect start. I really love Zelens products – honestly I can’t get enough. The skincare products are amazing and the make-up products all have skincare benefits. These Extreme Velvet Lipsticks really are what they say they are – smooth, velvety and highly-pigmented little bullets of joy. The lipsticks are full of active ingredients that also help plump and smooth the lips – now how could you go wrong with that? The lipsticks are available in 9 colours and have a soft matte finish.